More incense smoke, this time my second attempt at doing it. I took about 80 photos in this second attempt, although only a few came out ok. The image has been curved to get the best contrast between the smoke and the background, and some of the background (on the right of the smoke) has been selectively curved to ensure it was black. 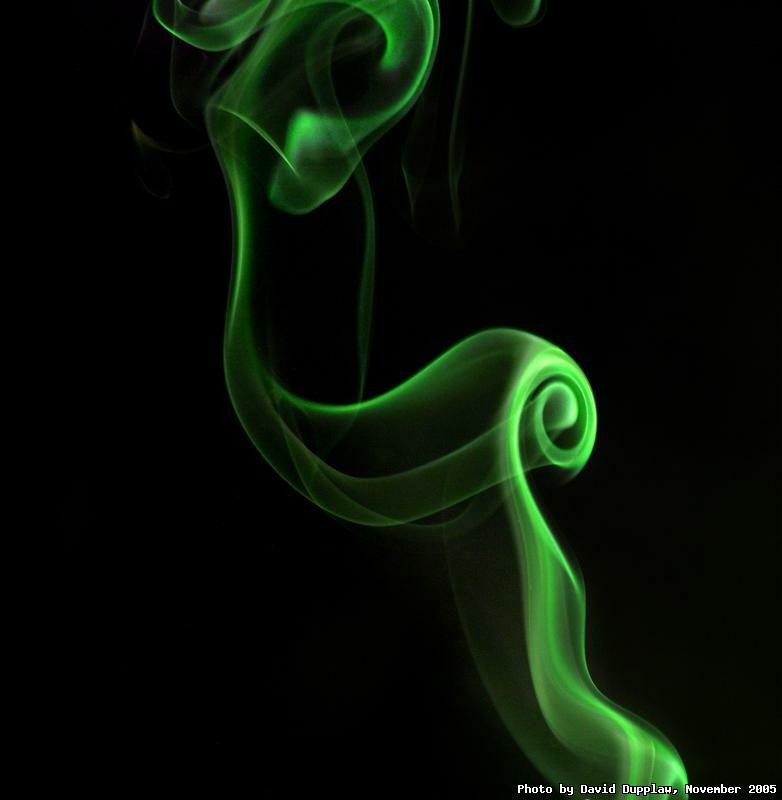 The smoke was hue-shifted to turn it green from the vaguely cyan colour it began. I was considering breaking up the smoke pictures, as I prefer not to do series of the same subject, however I liked this photo too much to hold it back :o) I still have to find a better way to do these shots as more often than not the background gets lit by the flash, and ruins the contrast. I have been experimenting with adding things into the smoke stream, but I also need to find a stiller place to do all this work!